After a disappointing week at Carnoustie in betting terms, it’s back to European Tour duty and an event which gave us a 40/1 winner last year, Phil Casey writes. Green Eagle Golf Course in Hamburg hosts the Porsche European Open for the second year running and England’s Jordan Smith is back to defend the title he won in a play-off with defending champion Alexander Levy. It was no surprise to see those two players battling it out after we identified par-five scoring as a key factor on a wet course – which played even longer than its stated 7,583 yards – featuring five par fives. 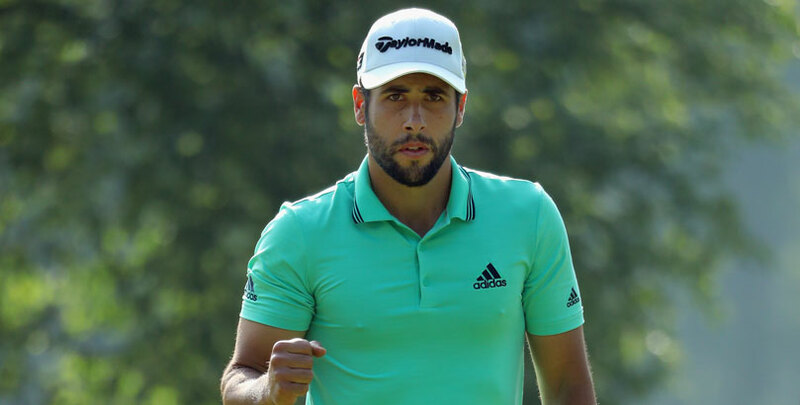 Looking at that statistic again, Masters champion Patrick Reed tops the list with Paul Casey 15th and they have been installed as 8/1 joint favourites, but our first selection is Spain’s Adrian Otaegui at 33/1 in the each-way market. Regular readers will know we have backed Otaegui for both his European Tour wins and although he is “only” 56th in the par-five scoring ranks, his average of 4.58 has been calculated from 196 holes played compared to Reed’s 4.25 from just 24. Otaegui missed the cut on his last start in the Scottish Open and was the unlucky soul who ended up as first reserve for the Open without getting into the field. The 25-year-old ranks ninth in bogey avoidance, a category headed by new Open champion Francesco Molinari, and can be backed to do even better than last year’s tie for fifth place. How players will respond to competing in the Open is tough to judge, but hopefully finishing 51st at Carnoustie is a sign of a return to form for our next choice, the talented Australian Lucas Herbert. Herbert has threatened a breakthrough win on several occasions, most recently finishing third in Sicily, and his promising performance in the Open was only derailed by a closing 77 in the toughest conditions of the week on Sunday. He can be backed in the each-way market at 80/1. Our final selection is available at the same price but is somewhat out of left field, Japan’s Yusaku Miyazato being largely unknown despite enjoying a world ranking of 74 and winning four times in his native country last year. What looks like a European Tour experiment this season has produced four top-15 finishes, including the Irish Open, while he also carded a third round of 65 at Carnoustie before struggling to a closing 77. At 80/1 he represents an interesting each-way outsider.